This blog has been left quiet for a while. As I was finishing my final leg at the Securities Commission I decided not to update my thoughts here. Well, last Thursday was my last day as the Executive Chairman of the Audit Oversight Board and the Executive Director for Market and Corporate Surveillance. So, I have more time to spend infront of the keyboard. Certainly there had been many issues in the past six months and many people had provided their views on them in one way or another. Sometimes I wonder whether the internet has provided a false sense of the ability to yell to the world while nobody is listening. However if we consider events in many places where people were mobilised for causes which even resulted in the fall of governments, the power of the web should not be under estimated. 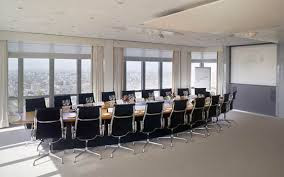 Well, rather than dwelling on topics which not lead to any particular outcome, I have decided to write on topics relating to matters discussed in boardrooms. 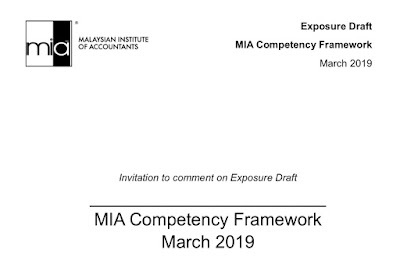 For the avoidance of doubt (regulators like to express themselves using this kind of sentences), the topics I am writing would not be limited to commercial boardrooms but extends to all decision making structures, whatever they are called. Why am I choosing such theme? Apart from the kitchen cabinet, many serious decisions are made in boardrooms. This is true for the corporate and public sectors as well as for the not for profit organisations (would political parties fall into this category?). Hence, I feel that it would be interesting to explore how issues are analysed, discussed and acted upon at this level. For a start, I would be touching on the area which I had been involved with for the past six years, financial reporting. Yes, the boring stuff which many members of the board would chuck it to their auditors. I would like to offer my perspective that financial reporting it part of the overall task of communicating with stakeholders, something which is very important for the survival of any organisation. Hopefully, this would lead to the publication of a book which would guide members of the board on accountability, reporting and communication. I welcome feedback on the topics to be covered. After all, that is what is expected when on is engaging friends on the internet. If one is afraid to receive comments, perhaps it would be better to stick to typewriter, is one can still be found.